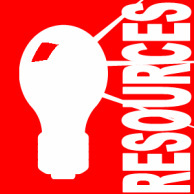 The Gwinnett Country Public Schools Online Research Library is one stop shopping for all of your learning needs. Whether you simply need pictures for a powerpoint or scholarly literary criticism for your latest AP Lit essay, the GCPS online Research Library should be your first stop--it's like having a research assistant sifts through everything you'd normally get through a internet search and only shows you the very best information. Another plus is that many of the databases communicate with EasyBib so keeping track of your citations has never been easier. Get there through your Student Portal and you won't need any sort of username or password. If you have questions, don't hesitate to get in touch with Mr. Stewart. More than just pages on a screen – Follett eBooks are dynamic teaching tools that enhance learning, both in the library and the classroom. Students doing research easily search for and take notes on important information with the eBook’s embedded tools. With countless applications, Follett eBooks get students more involved in learning. Follett eBooks can be used in two ways: You can access them online from anywhere and make use of the built-in dictionary and integrated search tools. Or, they can download and view eBooks offline, which reserves the eBook for a set circulation period, and allows use of the search, highlighting, note-taking and copy/paste/print features as permitted by the publisher. 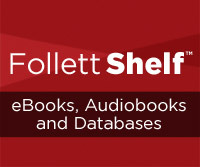 To log into the site, teachers and students should click the Follett Shelf logo above. Use your employee/student ID as both your username and password! No extra digits are necessary.